Roaches were bugging the residents of one apartment building in Austin, Minnesota. And having enough of the crawlies, they reported the problem to the authorities. In response, Environmental Services Director Angie Knish and Community Health Director Lisa Kocer went to the place at 24248 534th Avenue. However, resolving the issue with the landlord failed. And so, the board of Mower County stepped in authorizing both Knish and Kocer to inspect the building. The complex has 20 apartment units. During the inspection, officials were able to check 12 of them. In four rooms, the cockroaches were found. Four other residents also said they’ve seen live roaches in the complex, particularly at night. However, the property manager argued that he has been taking care of the problem. He also criticized the authorities for the way they handled the matter. In the end though, he was given permission to resolve the issue himself, but he was only given 10 days to get it done. “Mower County stepped in Tuesday to stamp out cockroaches at a local apartment complex, but the building’s manager said there was no need. 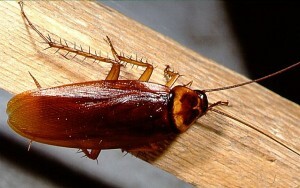 As you might already know, roaches spread bacteria and germs. And those things cause various diseases. And so, naturally, roaches in houses and anywhere else must be eliminated. However, more than anything else, you got to be prompt when doing it. Those crawlies multiply fast. In just a little time, one or two of them could start a major infestation that could bring you huge health and financial problems. 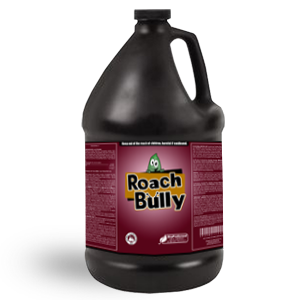 Being a roach spray solution, Roach Bully could help you with that. It makes the whole process easier and faster to finish as you only need to spray it directly to the insect or their hiding places. In addition, Roach Bully is both effective and safe. It kills the cockroaches and their eggs and young in just seconds. It is also organic-based so it is not a threat to your health or that of anyone else. See For Yourself How Well It Works! Try the Roach Bully Complimentary Sample Today!